JONESBORO, Ga. -- Clayton County police are investigating after a domestic dispute that left a woman shot several times at a Jonesboro pharmacy. The incident happened at the CVS store in the 10000 block of Tara Blvd. When police arrived, they came in contact with a woman suffering multiple gunshot wounds to her body. The victim's husband -- who is the alleged shooter -- was still on the scene. The man has since been taking to the Clayton County Police Department for further questioning. His wife was airlifted to an area hospital. Since the incident, police have learned that the couple has a history of domestic disputes and that the victim had filed a temporary protection order against her husband earlier in the day in DeKalb County. UPDATE: Clayton County authorities said they have located Mr. Davis, safe and sound. They thank the public for their help in locating him. JONESBORO, Ga. -- A Clayton County police officer has been terminated after violating department policies in a "pornographic" manner. Officer Joshua Nicholson was terminated on Friday for improper conduct while on duty. Nicholson had been placed on administrative duties following what the department called a serious complaint the previous week. An internal investigation uncovered that Nicholson had "engaged in inappropriate conduct of a pornographic nature while on duty." The specifics of the incident have not yet been released, however, the severity was enough that Police Chief Michael Register terminated Nicholson on Friday. JONESBORO, Ga. – Four people were arrested after a gun fight across the street from the Jonesboro police station Thursday night. 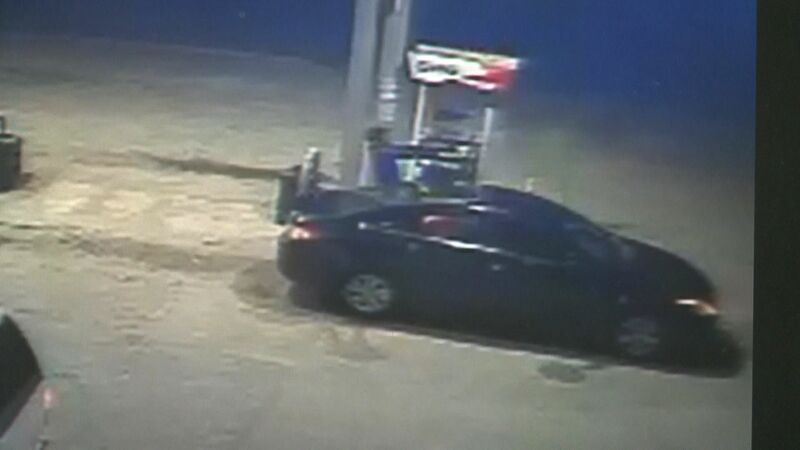 According to Jonesboro Police Chief Franklin Allen, the incident happened around 8:30 p.m. at a Citgo gas station located at 155 S. McDonough Street. ATLANTA -- Although Clayton County Sheriff Victor Hill faces his second indictment in four years, he has a good chance of keeping his job as sheriff if he's convicted. Thursday, a Gwinnett County grand jury indicted Hill for misdemeanor reckless conduct – for the accidental shooting of a friend last May. 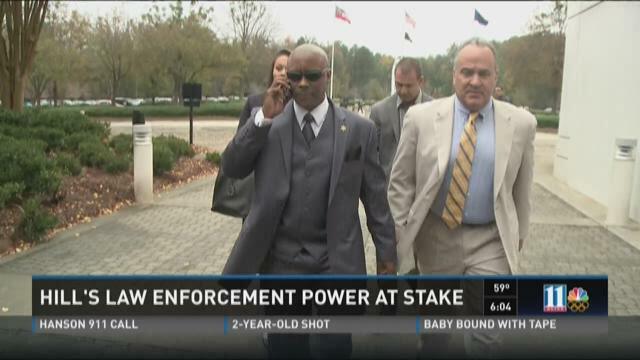 LAWRENCEVILLE, Ga. -- A Gwinnett County grand jury indicted Clayton County Sheriff Victor Hill Thursday on a misdemeanor charge of reckless conduct. A conviction on the charge could send Hill to prison for a year, and end his career in law enforcement. The grand jury returned the indictment moments after Hill made a rare in-person appearance before grand jurors. District Attorney Danny Porter says Hill never denied shooting his friend Gwenevere McCord in May at her workplace in Gwinnett County. But he re-enacted the shooting, described by Hill and McCord as an accident, in an apparent effort to sway the grand jury to decline to indict him. CLAYTON COUNTY, Ga. -- The woman shot by Clayton County Sheriff Victor Hill has applied for a job with the sheriff's department, 11Alive has learned. According to a document obtained by the 11Alive Investigators, Gwenevere McCord applied for clerk position at the Clayton County Sheriff's Department on Oct. 12.